Hello everyone! Hope you are all having a lovely day! We are officially half way through the week! Not long now until the weekend. Today I haven't really done much, I went out to do a little bit of shopping and my gosh what a mistake that was! The weather today is just plain horrible in London. It's literally been raining non-stop. I seriously wish I was in Mauritius with my family where it is so warm and sunny at the moment. Oh well, bring on the summer is what I say! But let me get on to the point of this post now before I bore you all to death with weather talk! If you follow me on twitter or instagram (If you aren't then why not?...KIDDING!) 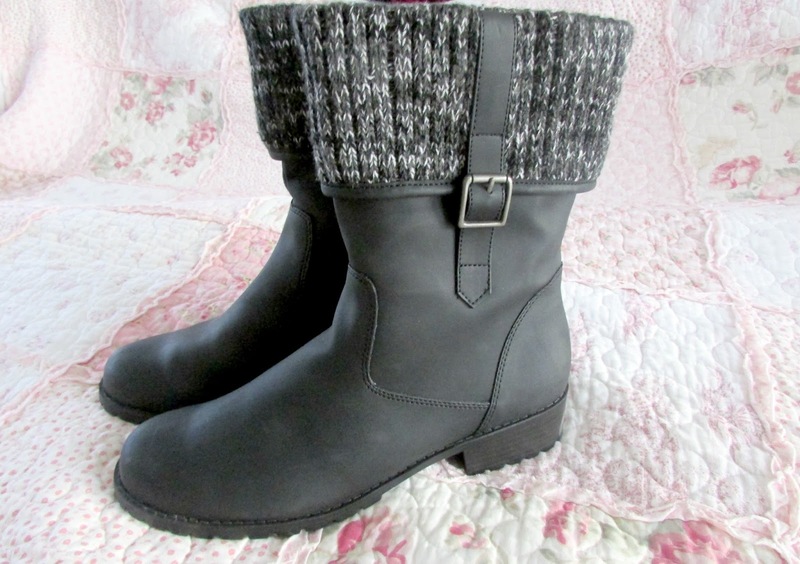 then you will know that at the weekend I went out shopping with my mum and she very generously treated me to these absolutely gorgeous boots which are from Brantano. I will be honest and say that I wasn't too keen on shopping there at first. None of the shoes seemed like the kind I would like but as Brantano is a proper shoe shop I knew that the quality would be absolutely amazing. 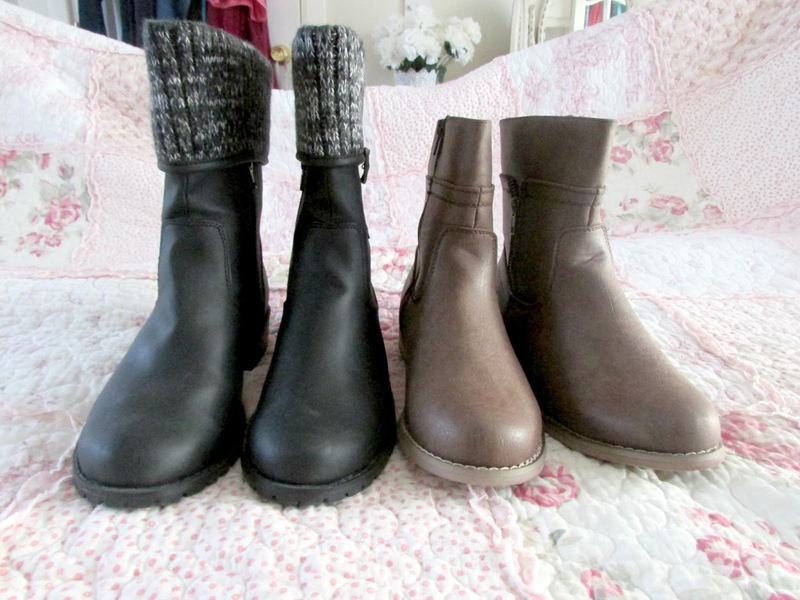 I spotted these two pairs of boots and I just absolutely fell in love with them. They are so warm and comfortable and are just absolutely perfect for the horrific weather we are having here in the UK at the moment. The first pair I chose were a pair of Emilio Luca X Red Witty Boots which are a brand I've never really heard of before. These are literally the comfiest shoes ever. 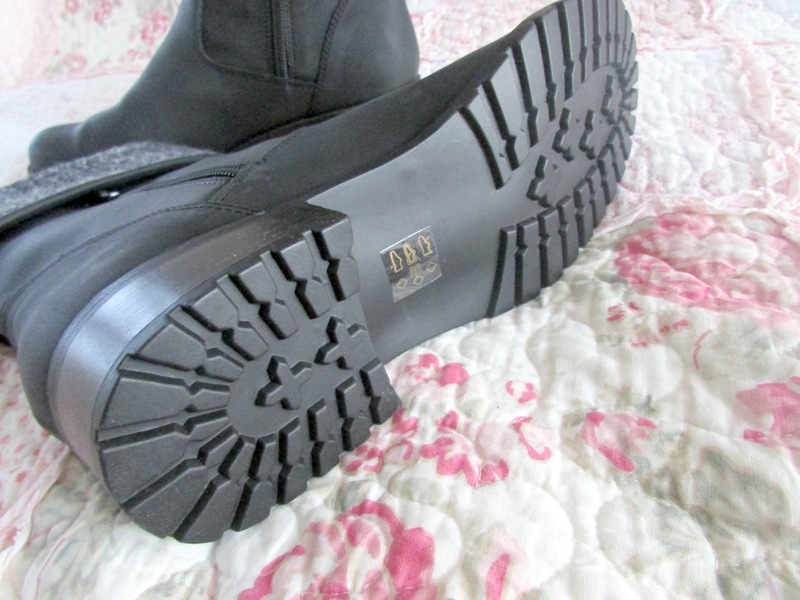 They are just simple black slip on boots with a wool type material on the top that keeps your legs super warm. They also have a textile lining inside so it's really easy to put your feet in and out of the boots and I love that the heel is only two centimeters high as well. I've had boots before that have had higher heels and I just have not been able to walk in them. If you are as clumsy as me the lower the heel the better so these are just ideal. The leather type material on the outside just means that the rain doesn't enter the shoe and soak your feet which is a bonus. 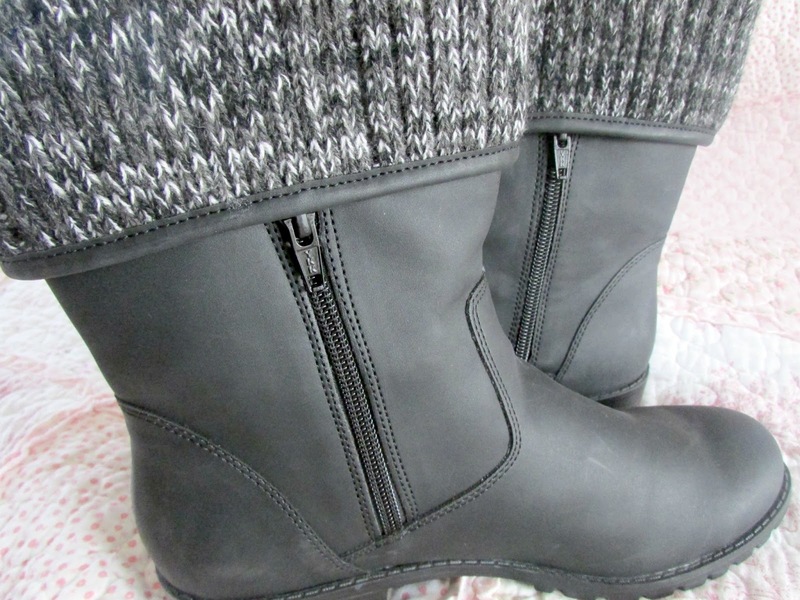 I love the sole of these boots too because they are just perfect not just for rain but for the snow and any icy weather too. You won't really be slipping and sliding all over the place with these as they grip really well. 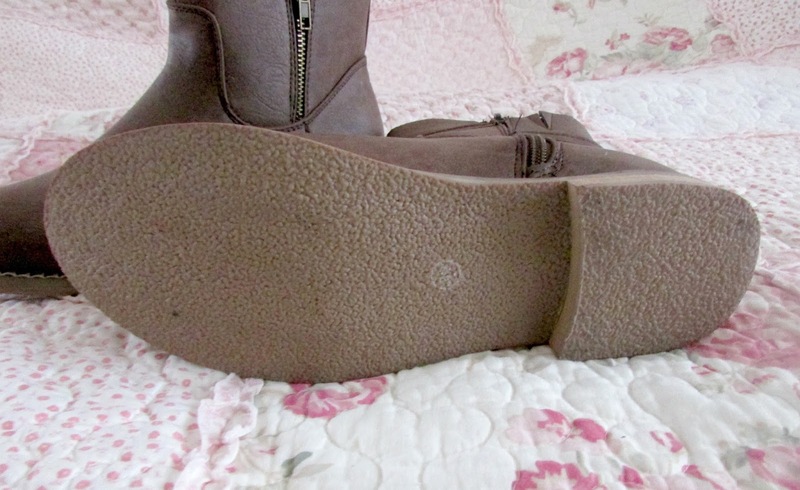 There's also a zip at the side to make sure that you feet are secure inside the boots in case they slip off your feet. These were reduced from £42 to only £21 in the sale which I thought was an absolutely bargain. 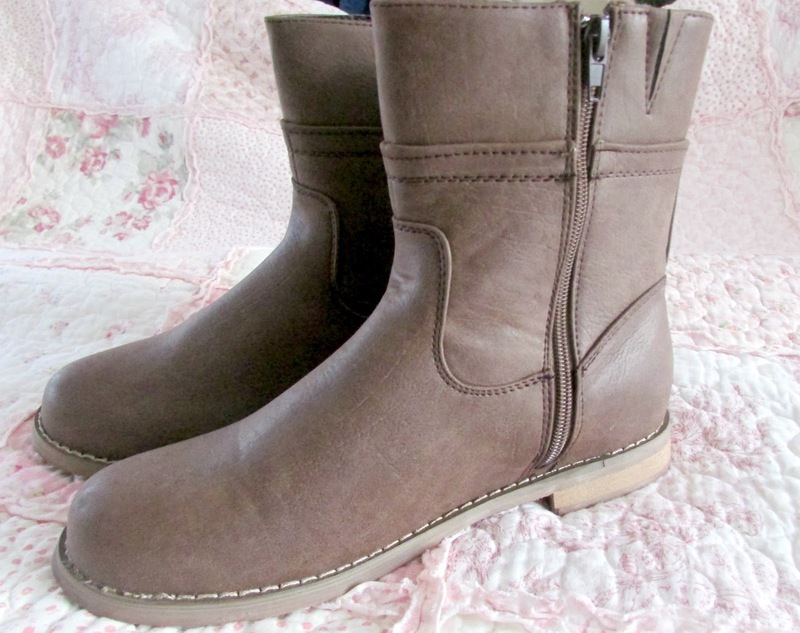 The next pair of boots I chose were a brown pair of Emilio Luca X Push Bike Ankle Boots. These are again super comfortable and have a zip fastening at the sides. Again the lining is textile which makes it super easier to just get your feet in and out of. I used to have a terrible knack of wearing shoes that were just impossible to get on so this is definitely a bonus for me. The sole is a very simple resin sole which I like BUT I don't think it's a very practically heel for when the weather turns a bit icier as I reckon I will be sliding all over the place, but nonetheless I still think that these boots are very practically for the rainy weather. Another reason I love these boots is because I think they would look good in the Spring/Summer paired with a nice summer dress and tights or just on their own depending on how 'summery' it actually is. I reckon I'll be able to get a lot of use from this all year round! Again this was reduced from £36 to only £17! I've double checked the receipt and definitely got this for £17, however the website seems to be saying £18. Regardless I think these boots are again an absolute bargain. Overall I absolutely love these boots. I've never really been a shoe person and normally just stick to trainers or other very unpractical shoes for this weather so I'm so happy and thankful to my Mum for purchasing these for me. Like I have mentioned above these shoes were both in the sale and if you are all interested I have managed to find them available on the website. So click HERE if you are interested in the black boots and HERE if you are interested in the brown pair. I honestly think these are a total bargain! So snap them up asap if you are interested. Where is your favorite place to shop for boots? I love the first pair of Boots! They look like they have stable and sensible soles as well. I've wanted some new boots for ages so I might have to check out Brantano.